OurCrowd - Page 4 of 87 - A better way to invest in startups. Israeli startups lead the world in revolutionary, lifesaving technology. From facilitating medical miracles to re-envisioning natural disaster response, the start-up nation is making major changes. Now, Israeli startups are tackling the different safety concerns a self-driving car might bring up from a different perspective, providing the consumer with comfort and assurance when they stop getting behind the wheel. The future of car safety is here. At CES 2019, check out the Israeli companies that will ensure a safe, smooth, autonomous ride. In the News: A year of impact…will we see you at CES? Join me in feeling proud as we reflect on technology’s awesome impact in 2018! Social impact investing – can doing good coexist with ROI? P.S. Will we see you at CES? Check out our booth info below, plus watch the top news from our portfolio in 2018. Wishing us all a productive and impactful year ahead! 2018 was an impactful year for our portfolio…watch a quick recap below, and be sure to join us March 7th, 2019, in Jerusalem to experience these amazing technologies for yourself. Watch this Wall Street Journal video about another market where Israel is emerging as a world power…electric scooter usage. Zebra Medical Vision will save human lives…Israeli healthcare AI start-up hunts for Zebras. Which Israeli team is Snapchat counting on to lift it out of the doldrums? It’s January in Las Vegas, which means top innovators are showcasing their technologies at CES 2019. Not all consumers may grasp how the innovations presented at CES will, in the near future, impact their day-to-day. From grocery store trips, to customer support ordeals, to natural disaster response, startups are already making an impact in your daily life – and we’ll see a lot more of that impact in 2019. Are you at CES? Meet these companies in person at OurCrowd’s Startup Pavilion at Booth 301 in Westgate Paradise Center. Contact us to request a meeting. As 2018 comes to a close…what will shape tech and VC in 2019? The predictions are rolling in…Read 6 investment trends from CTech and check out predictions from PitchBook and Forbes. Wishing all who celebrate a very happy holiday season! 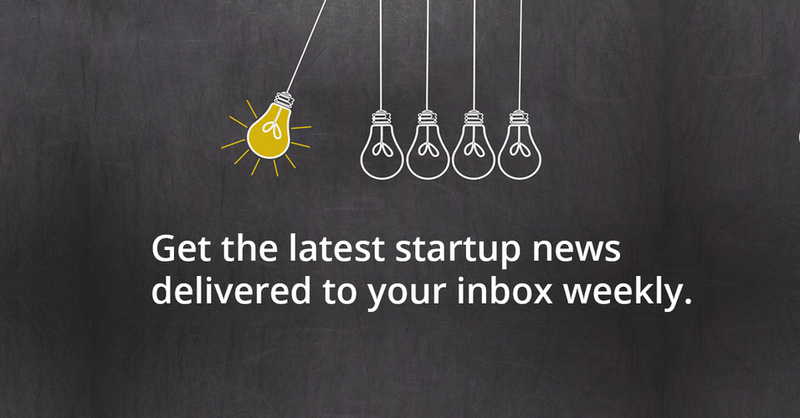 Read on for more startup news. Africa and Israel: Exploring a joint Agriculture Innovation Center. What’s possible when countries come together to collaborate around technology? Israel’s Security Agency has launched a worldwide challenge in the hopes of recruiting tech experts – who will succeed? Startup Nation goes to China via Israeli AI technology tracking drivers’ drowsiness. Israeli agtech startup CropX will deploy an automated irrigation network worldwide, based on their “Internet of Soil.” Israel and Brazil sign an R&D collaboration agreement to progress tech innovation and industrial R&D. See what 120 senior executives involved in AI tell Forbes, including mPrest, VAYAVISION, Sweetch, Taranis, Oxx, and Brodmann17. 2018 saw Israel edge competition…but others are ‘catching up’: reflections from head of the Israel Innovation Authority. Through a simple needle procedure…Anti-tumor DaRT could point the way to new arsenal in battle against cancer. Israel’s postal service is calling on startups to test their tech: Can implementing tech help Israel’s postal service overcome its “snail-mail” image? Cyber hacks and data breaches are an ever-present theme in the news…how are startup solutions measuring up? Firstly, Labs/02 startup ItsMine says it will provide its AI data protection tool free of charge following the Marriott data breach. Forbes makes 60 Cybersecurity Predictions for 2019. What does former FBI fraud specialist Frank Abagnale, made famous in the film “Catch Me If You Can”, think the key is? Getting rid of passwords altogether – find out which company he’s rooting for. Plus, even more cybersecurity news below. How are Israeli technologies making self-driving cars safer? Six things to know from the past week in VC…With Lyft’s filing, IPO madness is almost here. Hacking Health Care: How Tech Will Drive Down Costs.